RCI has published a new global industry white paper on the shared vacation ownership industry to help educate, inspire and support potential new entrants to the business. It is also designed to assist the media, legislators and hospitality groups to better understand the leisure real estate industry. 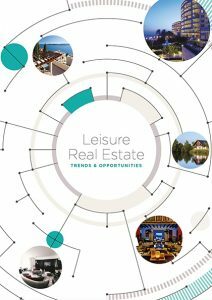 Created to support industry growth, the ‘Leisure Real Estate Trends & Opportunities’ handbook demonstrates the credibility of shared vacation ownership products and markets, helping to demystify one of the fastest-growing and established industries in the hospitality sector. Dimitris Manikis, vice president of Business Development for RCI Europe, Middle East and Africa, said: “RCI has been involved in facilitating the swapping and sharing of residential leisure real estate for more than four decades. “We have worked with developers and investors from every walk of the hospitality and leisure real estate sectors and have seen first-hand what a resilient and robust business this is. We at RCI understand the shared vacation ownership model’s potential to grow a business base, as well as making a significant contribution to tourism revenues. Product considerations, such as accommodation dimensions, human resource requirements and more. The publication is initially available in English, with versions in the Spanish, Russian and Turkish languages to follow shortly.